Written by Lance Hartley on 25 January 2018 . 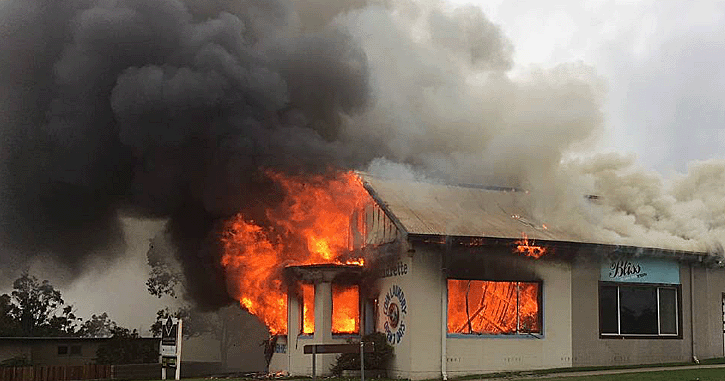 Crews tackled a blaze at the Tathra laundromat on Tuesday afternoon 23rd January, 2018. 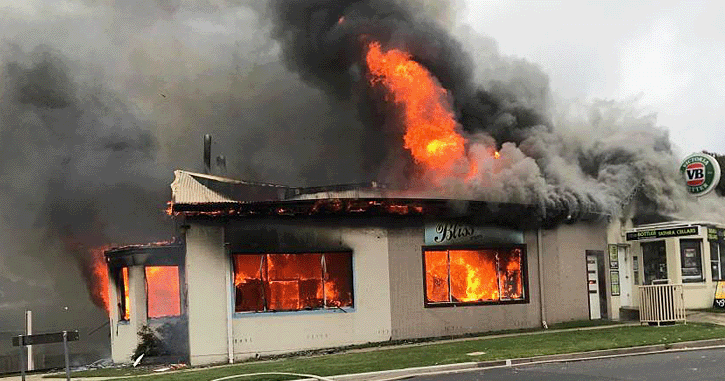 The fire engulfed the hairdressers and bottle shop, destroying them completely.